The CMOS sensor is designed to work with dual DIGIC 6 image processors that allow to capture 10 frames per second burst shooting rate, able to process 31 RAW images consecutively, or 1,090 JPEGs at full resolution, standard ISO range of 100–16000 that can expandable to ISO 51,600 aiming to offer professional photographers a comprehensive combination of speed, accuracy as well as image quality. Besides that, EOS 7D Mark II also a good news for photographers who like to shoot wide-angles especially for weddings or parties. This camera offers users the ability to shoot in 1080p Full HD or 720p HD video up to 60p enabling slow-motion capture at full resolution. 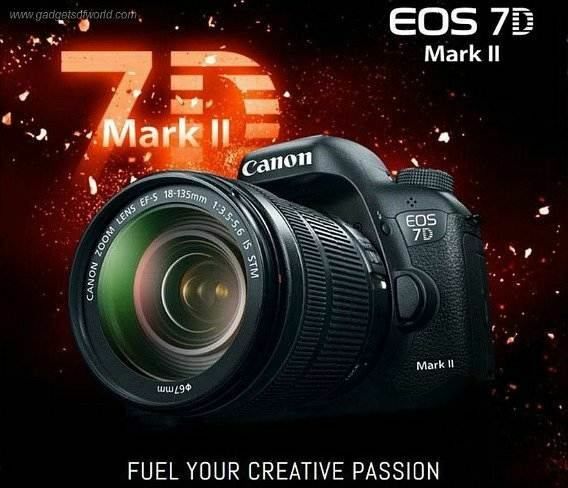 Canon EOS 7D Mark II is targeted to hit US and Japan in November with the price of $1,799 without a lens. Additionally, it is offered in a kit version with Canon’s EF-S 18-135mm f/3.5-5.6 IS STM zoom lens at an estimated retail price of $2,149. There are including battery grip, wireless transmitter, dual memory card slots, USB 3.0 port, CompactFlash and SD card slot that compatible with ultra-high-speed (UHS) cards.